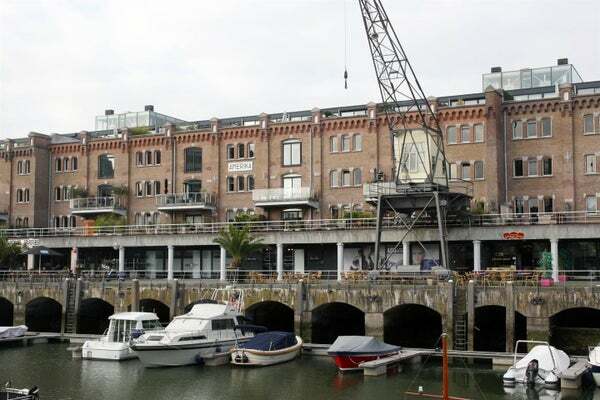 beautiful and very special loft apartment (studio) in the Entrepot-building at the Kop van Zuid (area). The original building is build in 1879 and used as storage for coffee, tea, sugar and pepper. In 1997 the buiding is completely renovated into luxurious apartments, offices and shops. Many of the original details are still visible and this makes this particular building very charming. The apartment is one big space (no complete seperate bedroom) and supplied with good qualtiy furniture and equipment. The bright and sunny livingroom gives access to a large roof terrace with a splendid view over the marine. Rental price incl parking place.